(TRAVPR.COM) VIETNAM - December 3rd, 2013 - We hear it over and over again. Today's luxury travelers want the world’s most luxury travel authentic experiences and pampering but they also want off-the-beaten-track adventures with impeccable service. That's why Vietnam is shaping up as one of the most attractive destinations in Asia, just behind China, according to a recent survey of 1200 travel experts during WTM London 2013. Many luxury travel experts say Vietnam is now one of the top ten destinations in Asia, with luxury the fastest-growing segment. The beauty of Vietnam is that it continues to evolve without diluting its cultural heritage, achieving that delicate balance between modernity and the past. Pham Ha, founder and CEO of Luxury Travel Ltd (www.luxurytravels.asia), one of the country's first luxury travel and tour operators said "today's luxury travelers want to be entertained and stimulated, rather than simply pampered, and Vietnam offers a magical mix of tropical beaches, post-colonial charm, a string of World Heritage Sites, stunning inland scenery, world-renowned cuisine and a home-grown flair for hospitality. Vietnam has all to offer,"
The luxury traveler is being tempted with new boutique hotels, experiences and tours, such as flying to Halong Bay from Hanoi by helicopter. Vietnam's tourism infrastructure has improved dramatically and with iconic colonial properties like the Sofitel Legend Metropole in Hanoi, a fast-growing list of modern luxury and spa destinations and recently opened golf courses, the launch of luxury yacht and river cruise services ensure stress-free journeys away from the busy roads. Such improvements account for the the country's recent growth in popularity. Additionally, Pham Ha says, "Vietnam is still a relative travel bargain, even for those who don't normally concern themselves with cost." Travelers on a high-end itinerary can expect to pay from $3,000 to $3,500 per person for a seven-day tour, although many are priced at more than $1,000 per day, per traveler. So what are some of Ha's top hotels and activities in Vietnam? He says his personal favorites are Six Senses Ninh Van Bay Nha Trang and an overnight cruise on Halong Bay, one of the country's highlights. "The top ten that seem to leave travelers in awe are the Sofitel Legend Metropole Hanoi Hotel, La Residence Hue Hotel and Spa, Banyan Tree Lang Co, InterContiental Sun Peninsular Danang, the Nam Hai in Hoi An, the Park Hyatt Saigon Hotel, Six Senses Ninh Van Bay Nha Trang, Princess d’Annam Phan Thiet, Six Senses Con Dao and Amanoi," he said. The next upcoming destination in Vietnam is the archipelago of Con Dao with its intimate villa resort and undeveloped beaches. "Six Senses Con Dao has everything you might want, like a much larger resort, but with fewer rooms and suites, guaranteeing exclusivity." "The 50 private-pool villas offer space and privacy along with an uncompromising standard of luxury. Villas are either Ocean View or Ocean Front (single-level and duplex) offering a choice of one, three and four bedrooms. There is a great staff-to-guest ratio, which means that there is always someone around to take care of your needs, whether it is an extra towel at the pool or a late-night snack. And the staff are locals and make an effort to make you feel like one, too, while of course being mindful of providing elite and personalized service." The beach town of Nha Trang is a popular beach heaven for holidaymakers, and now just 90 minutes north of Cam Ranh Airport is Vinh Hy Bay where the Amanoi, the latest property by the uber-luxurious Aman Resorts, is located on a secluded beach. Tucked away in a national park, Amanoi, which opened in September 2013, nestles within 100 acres of lush tropical landscape, a tranquil oasis with breathtaking views. The resort's design feels more like a gracious, private residence rather than a hotel. The staff are very welcoming and treat you like house guests, centuries-old antiques and contemporary furnishings adorn public spaces and the 31 individual guest pavilions and five villas are strategically tucked in the forest, ensuring plenty of privacy and space. It is located in Lang Co Town, in the central province of Thua Thien Hue, which is about 1.5 hours from Phu Bai Airport in Hue or a 30 minute drive from Danang Airport. It’s truly special, framed by three kilometres of beach and lush countryside. I recommend it for it pristine beauty, tropical jungles and rugged mountain peaks. Plus, it is an ideal base for tourists to explore UNESCO-recognised world heritage sites such as the ancient imperial capital of Hue, Hoi An ancient town and the relics of My Son. This unique holiday destination is a world unto itself, comprising the Banyan Tree and Angsana branded hotels and resorts, award-winning spas, convention facilities and an array of recreational offerings including a championship golf course. The 18-hole, par-71 course provide a wonderful golfing experience to both expert players and beginners alike. Officially recognized as one of the New Seven Natural Wonders of the World in 2012 (and among CNN's top five tropical island paradises), Halong Bay is a must-see on anyone’s itinerary to Vietnam, thanks to its turquoise water and thousands of dramatic limestone islands. Still used for fishing, whole families live in floating villages that are easily visited. Some will even take you out on a fishing trip. The best way to appreciate this magical scene is from a boat, leisurely cruising between the karst cliffs which loom like fairytale castles, complete with rocky spires and hidden caves. The latest upscale cruise development in Halong Bay, Starlight Cruise of Oriental Sails Ltd, has a new luxury cruise ship with 32 sophisticated and tastefully designed en-suite cabins, a spa, restaurant, bar, two lounges, library, gift shop, wine cellar and private dining room with hot tubs and a mini-golf course on the atrium deck. “Starlight Cruise’s cabins are very spacious, all with Halong Bay views even from the jacuzzi and bathroom. Its outstanding facilities and excellent safety record, because of its enhanced safety features, make it an excellent choice for leisure travelers and MICE groups who want to experience Halong Bay in style.” commented Pham Ha after his recent experience on board. A SHORTAGE OF QUALIFIED TOURISM WORKERS DISCUSSED AT ASEAN MUTUAL RECOGNITION ARRANGEMENT FOR TRAVEL PROFESSIONALS CONFERENCE. 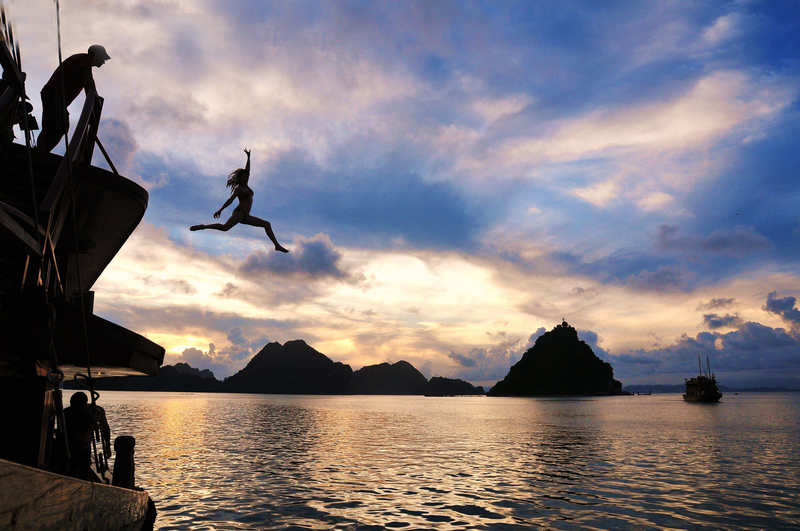 VIETNAM-BASED TOUR OPERATOR LUXURY TRAVEL IS TARGETING THE ADVENTURE TRAVEL MARKET.